Excellent! 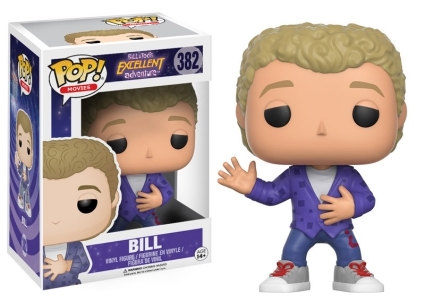 2016 Funko Pop Bill and Ted's Excellent Adventure joins the Pop! lineup. The set features the time-traveling duo from the cult classic Bill & Ted's Excellent Adventure. The sci-fi comedy stars Alex Winter as Bill and Keanu Reeves as Ted. The two musicians are best buds on the verge of failing their high school history class which would greatly alter the future. In 2688, Bill and Ted, known as the Two Great Ones, helped inspire a blissful society. Their future selves worry they might fail the class, and ruin their future, so they decide to send Rufus, portrayed by George Carlin, back to 1988 to help. Rufus takes the two slackers throughout points of history via a time machine, where Bill and Ted decide to kidnap historical figures to use them as part of their history presentation. 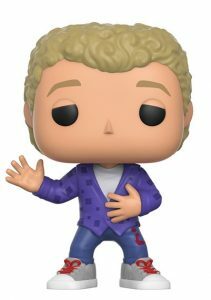 It's hard to believe anything more lovable than Bill and Ted from the movie, but Funko has once again made figures that capture precisely what made the film a classic. With half-opened eyes, the blonde-haired Bill sports his purple jacket and gray Chucks. 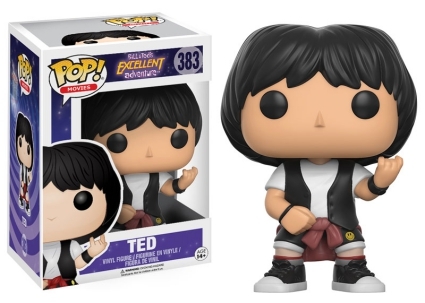 Funko took Ted's style into consideration as the figure is posed in his "Rock On" stance wearing a white t-shirt, black vest, shorts (with a smiley face! ), and finally his red sweatshirt tied around his waist. 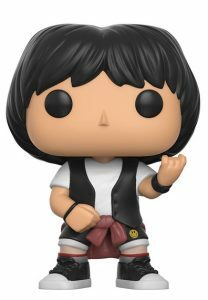 Standing almost 4" tall, Funko Pop Bill and Ted's Excellent Adventure vinyl figures are numbered as part of Pop! Movies. FUNKO POP Bill & Ted's Excellent Adventure #382 and #383 Vaulted New! Funko Pop! Movies Bill and Ted's Excellent Adventure Bill #382 WITH PROTECTOR! Funko Pop!-Movies Bill and Ted's Excellent Adventure 2 Pack Special- Vaulted!